The start of the baseball season is more important to me than most holidays. I try to get fired up for Valentine’s Day but it always feels bloated and forced, and I would much rather celebrate March 7th, the anniversary of the first time meeting my love. I savor the spirit of Christmas and what it means to the faith of Christians around the world, yet I find a deeper resonance throughout the year in connections with family, friends, and students who show unprompted generosity and love. My favorite holiday is Thanksgiving as it brings together family, without all the mandate to buy lots of stuff. Even so, the day I spent vacationing with my family in Italy, off the coast of Capri, tops any single November gathering in terms of deep connection with those I love. Maybe I am not a fan of being told what to feel on a certain day of the year and being told how to express those feelings. My family has translated this to being a #hater of holidays, and that might fit. Beginnings have always excited me, and that is a start in explaining why Opening Day is such a marker for me. Nobody believes me when I share that I wasn’t that big of a baseball fan when I was younger. The 12-year-old Colin played Little League but wasn’t athletic enough nor interested enough to care about being unathletic or disinterested. I didn’t watch baseball on TV for the most part, mostly because it wasn’t something we did as a family. Pre-teen Colin knew that his father watched baseball, but it was always something he did for himself, and not necessarily to share with his family. Raised in New England, tracking the success of the Red Sox was part of who he was, ever present in his life at home and at school. When he and my mother married, and settled in the Boston area I am guessing that he watched a fair amount of the Sox on TV. He told me a few times that the Red Sox 0f 1967, and the Impossible Dream, changed his fandom from typical to intense, as it did for many Sox fans of the era. We moved several times during my early life, first to rural Pennsylvania and then to suburban Chicago, and with each move the Red Sox traveled with him. By the time I was in high school, I was convinced that father didn’t quite understand me and because I didn’t have much to offer in terms of interest or knowledge in things that were important to him (and because I was so deep). My best friend in high school lived around the corner from us, and my dad was very interested in him because his father was the announcer for the Chicago White Sox at the time. This turned out to be fun because I went to a few games with him and his dad and I even met Don Drysdale, Harry Carey and others. And yes, I was even in the radio booth at Comiskey Park during the infamous “Disco Demolition” game in 1979. Yet to me this was hanging with my friend, who had a famous father, and not some sort of “baseball obsession” that drove my choices. It wasn’t until I was graduated from college, married, and living in California that I realized what I had missed. 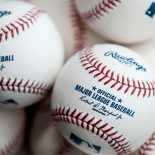 It wasn’t the baseball per se but rather the connection with something quite important to my father and an amazing game. As a result, I made a conscious effort to reconnect by learning and following the sport, and team, that were an integral part of his everyday life. Over the years as I dove deeper I grew to love baseball for myself, and appreciate the special rhythms not present in other sports. It was the perfect way to open a conversation with him and that fed my interest even more. In the summer of 2011 my youngest son and I indulged in a baseball trip that started in Boston and finished in Chicago, with a stop in Cooperstown, NY. My son was about the same age as I was the time my own father attempted to show his family the Baseball Hall of Fame. I recall being completely unappreciative of my dad’s efforts, and showed this lack of appreciation for his effort by being a brat. I don’t even recall thinking of this as a “baseball trip.” My own version of the trip with my son was magical, as both of us were enrapt by the exhibits and history and magic of the Hall. We sat in the plaque room for a long period, just soaking the aura of the game and its meaning in our country’s history, in my own family’s history. The trip started at a Red Sox game seated in the first row of the Monster Seats. The final bookend of the week was a game at Wrigley Field, in the first row of the upper deck behind home plate. Joining us were my father, my brother and my sister. In a small way I wanted to continue to thank my father for all had done for me. Two weeks later he told me of his advanced cancer. Four months later he passed away. Opening Day is a joyous marker for me, as it signals possibility. So much has been written about baseball signaling the start of Spring… the cycle of rebirth… school will soon be over… summer is around the corner… vacation time begins. Sure, all of this is true but that is not why it holds such deep meaning for me. It reminds me of connecting with the people in my life. It gives me a chance to share the joy of fandom with my friends and family. I play fantasy baseball with my family to continue to have something to talk about even when we might struggle to find common ground. I love keeping score at baseball, and now softball, games. I revel in being the game announcer for high school teams. And dingers, I love dingers! I sometimes envision my post-retirement life as a full-time umpire. Or maybe a statistician for the SF Giants. It’s Opening Day, and I welcome this with heart and mind and joy and family and friends! I love you, Dad, and miss being able to share this with you. This entry was posted on 2017-04-02 by soxteacher in Baseball, Personal, Stories and tagged Baseball, family, Opening Day.